If the 1920s were impoverished and fairly insignificant years for Guy Maunsell in terms of work, the next decade seemed to promise that worse was yet to come — the Depression years of the 1930s. Britain was just beginning to recover from the long-term effects of World War I (1914-18) when the American stock market crash of October 1929 triggered recessions around the globe, including in the UK. Mass unemployment, import duties, increased income tax and reduced state benefits intensified people’s hardship, especially in northern areas traditionally associated with heavy industry. In the south, the falling prices contributed to relative prosperity. With the Depression at its most intense in 1931, the 47 year-old Maunsell joined Dorman Long & Co. Ltd (founded 1875) as their agent for the widening of Sir Joseph Bazalgette's (1819-91) Putney Bridge of 1886, which crosses the Thames in west London. The new works (1931-4) were designed to be almost identical to the original structure. Fellow engineer Ralph Freeman (1911-98), then a student, was also employed by Dorman Long and worked for Maunsell on Putney Bridge. Following this work, Dorman Long was invited to join the consortium formed to construct the Storstrøm Bridge (1934-7) linking the Danish islands of Lolland and Falster with Zealand, to improve traffic flows to and from Copenhagen. The consortium was called the Anglo-Danish Construction Company and Maunsell was appointed as its managing director in 1934, which meant moving his family to a flat in Copenhagen. Danish State Railways commissioned the 50 span bridge, which has two narrow lanes for vehicles and a single rail track. It was designed by Danish university professor and civil engineer Anker Engelund (1889-1961). Construction was by Dorman Long and Christiani & Nielsen. Maunsell's expertise was in translating the paper design into a physical structure, and here he devised a floating crane that could lift a whole bridge span in one piece. His subsequent well received paper The Storstrom Bridge was published in the Journal of the Institution of Civil Engineers in 1939. Though claimed to be the longest bridge in Europe at the time, the 3.2km Storstrøm Bridge is actually some 60m shorter than the Tay Rail Bridge (1882-7) in Scotland. In Britain, meanwhile, the economy was beginning to recover and thanks to cheap loans the housing construction market was expanding. In 1935 Maunsell was offered a directorship by house builder and general contractor Wilson Lovatt & Sons Ltd. He considered and declined the offer in favour of a better position from Sir Alexander Gibb & Partners, complete with a London office and consultancy status — on the understanding that Gibb’s work would have priority. Hugh Beaver (1890-1967, knighted in 1943), then a partner at Gibb, persuaded Maunsell and from 1936 he was known as ‘G.A. Maunsell Consulting Engineer’. Maunsell, Geraldine and their two daughters Maureen and Rosalie returned from Copenhagen and lodged with his wife’s father in Newton Abbot, Devon. 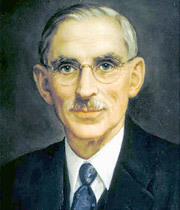 Freeman, Maunsell’s erstwhile colleague, went to Denmark in 1936 to complete his work on the Storstrøm Bridge and oversaw completion of the project in 1937. Also in 1936 the Maunsell family moved to Hilden House (demolished in the 1960s) on London Road, Tonbridge, Kent. They employed a maid, a gardener and a garden boy to run the house, with its extensive grounds and large vegetable plot. After the outbreak of World War II (1st September 1939), the staff left for war work and the house was sublet. Sheep kept the grass short and Maunsell tended the vegetables himself. He also bought a cow. Maunsell commuted to London by bicycle and train and was happily immersed and inspired by his work, consequently renewing his contract with Gibb in 1937 for another three years. He had an office at Gibb's premises at Queen Anne's Gate in London and was provided with a secretary and a draughtsman, David Weller, who remained with Maunsell's consultancy until his death in 1972. One of the major schemes that Maunsell and Gibb worked on together was the design for reconstructing the Menai Suspension Bridge, built by Thomas Telford (1757-1834) in 1818-26. Telford, another polymath of engineering, was probably one of Maunsell's heroes and his bridge over the Menai Strait is hailed as one of the world's greatest iron bridges. The reconstruction work showed Maunsell to be an engineer whose ideas deserved to be taken more seriously. The original bridge deck and wrought iron chains had been weakened by more than a century of use and ever-increasing traffic loading — and the weather had only made the corrosion worse. However, by the time work began on site in 1938, vehicular movements across the bridge were much restricted. The Ministry of Transport insisted that traffic flow be maintained throughout the works and that original architectural features be retained. The contract was completed in 1940 after just 30 months by contractor, and Maunsell's former employer, Dorman Long. The bridge now had new steel suspension chains and a new steel deck. The arched openings through the masonry towers were widened for the new carriageways. By now it was wartime and technical details of the project were kept secret to prevent any information leaking to the other side. Maunsell's paper Menai Bridge Reconstruction, published in 1946, acknowledged the elegance and excellent proportions of the old bridge, how suited it was to the surroundings and how it was built with care and the best materials of the time. The paper earned him the prestigious Telford Premium and Coopers Hill War Memorial Prize, both awarded by the Institution of Civil Engineers. Another pre-war idea that Maunsell developed in 1938 was a variant of the immersed tube tunnel, which had been used first in America at the beginning of the 20th century — the first railway immersed tube was beneath the Detroit River in 1910. He named his system Tubelayer and suggested that it might be suitable for the Thames tunnels at Blackwall and Woolwich and the River Humber at Hull. However, the first UK immersed tube tunnel would be constructed by Costain and Tarmac beneath the River Conway (1987-91) in Wales. At the outbreak of war, Maunsell was 55 years old and the awards in recognition of his work on the Menai Suspension Bridge were yet to come. However, his reputation for imaginative thinking was established and he was gaining respect for his ideas, his brilliance at problem solving and his exceptional hard work. He had also amassed a good network of contacts. At a time when his experience and knowledge of reinforced concrete and maritime engineering were about to be tested, Maunsell was as prepared as he could be for the amount and kind of work that would be demanded of him during the war years. It was work that would make him famous.